Posted on 8, April 2019 by EuropaWire PR Editors | This entry was posted in Automotive, Energy, Gas & Oil, Finland, Italy, News, Technology, Transportation & Logistics and tagged BOG management system, cargo control system, cargo tank pressure, Edison S.p.A., fleet, fuel efficiency, gas carrier, Hyundai Mipo Dockyard, innovative vessel, Jarle Østenstad, Knutsen OAS Group, LNG infrastructure, LNG vessel, re-liquefaction module, space-saving C-type bi-lobe cargo tanks, thrusters, Timo Koponen, Wärtsilä, Wärtsilä 20DF dual-fuel auxiliary engines, WinGD X52DF dual-fuel main engine. Bookmark the permalink. HELSINKI, 8-Apr-2019 — /EuropaWire/ — New 30,000 cbm LNG vessel will rely on integrated propulsion and cargo handling solution from Wärtsilä. The effective interfacing between the vessel’s propulsion, onboard auxiliary power generation, and cargo control processes will be ensured by the Wärtsilä solutions with the aim of achieving full fuel-efficiency. The agreement includes an option for an additional sister vessel while the order with Wärtsilä has been booked in January 2019. The Wärtsilä cargo handling system includes the fuel supply, cargo control system, boil-off gas (BOG) reliquefaction, and safety management. The 5-cylinder WinGD X52DF dual-fuel main engine and the Wärtsilä auxiliary dual-fuel engines are essential consumers for the BOG management system, which monitors and controls the cryogenic cargo, to ensure, in combination with a Wärtsilä developed mixed refrigerant re-liquefaction unit, all time control over the cargo tank pressure and temperature. Norway based Knutsen OAS Shipping is the owner of the ship that is currently being built at the Hyundai Mipo Dockyard (HMD) in South Korea. The Knutsen vessel will be one of the first LNG carriers in its size that will be equipped with space-saving C-type bi-lobe cargo tanks. Wärtsilä equipment is scheduled for delivery during 2020 while the vessel is expected to be built and delivered during the first half of 2021. The delivery includes three Wärtsilä 20DF dual-fuel auxiliary engines that power the board net, thrusters, cargo control system, and re-liquefaction module. The vessel’s main engine and single Wärtsilä Controllable Pitch Propeller system will allow the vessel to operate at its highest fuel efficiency design point, in a combinator mode controlling the shaft power, pitch and speed. 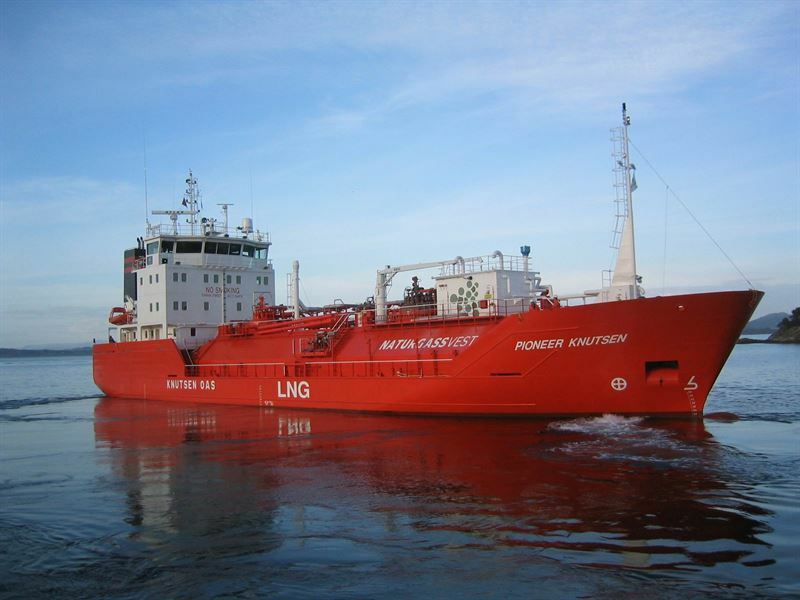 The LNG vessel will be operated by Knutsen and chartered, under a 12-year long term charter, to Italian energy company Edison S.p.A. Edison will use the ship to supply coastal LNG Deposit terminals in Italy.